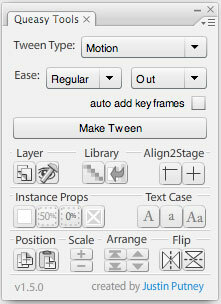 in5 exports HTML5 directly from Adobe InDesign, so you can distribute your designs anywhere. 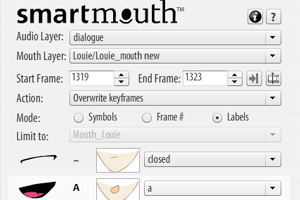 SmartMouth automatically analyzes your audio layer and lip syncs your mouth shapes. You have to see it to believe it. 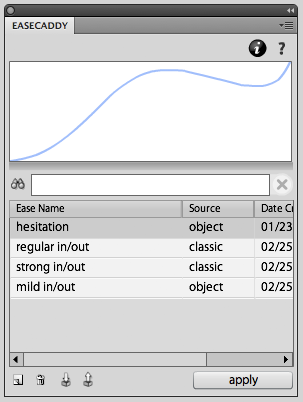 EaseCaddy is a Adobe Animate/Flash extension that stores, imports, exports, and applies custom eases. The complete list of Merge Text, Convert Text, and Send Swatches scripts can be found here. We have loads of free Adobe Animate/Flash Extensions available. 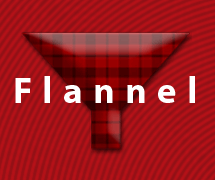 Flannel converts newer Flash files so that they can be read by older versions of Flash Pro. 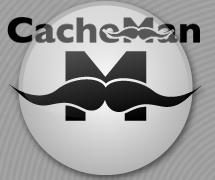 CacheMan is an easy Application Cache Manifest generator for HTML5 websites & Web Apps. 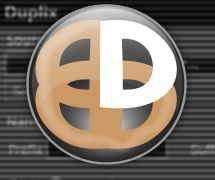 Duplix is a batch duplication utility that can duplicate files with sequential or custom names. If you're interested in a new product or feature, please Send us a request.